I love using shower gels and keep trying my hands on different scents available in the market. The Body Shop is a well renowned skincare brand and is my favourite when it comes to delicious smelling body washes. 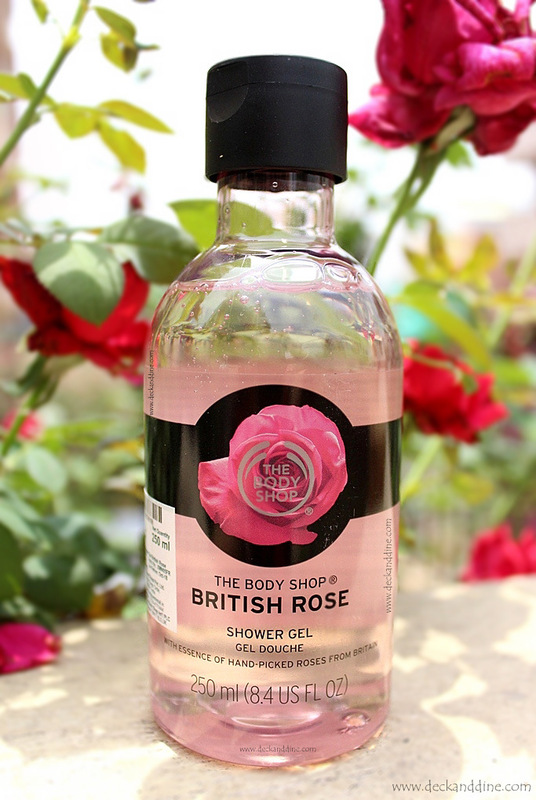 Recently they have launched the “BRITISH ROSE” range. And today I am here with the review of the shower gel from this range. "Awaken your skin with the irresistibly dewy scent of roses. Our cleansing Shower Gel is infused with the essence of hand-picked roses from Britain to make showering feel blooming beautiful." It comes is a transparent bottle with screw open, flip-top cap. Sturdy and travel friendly. 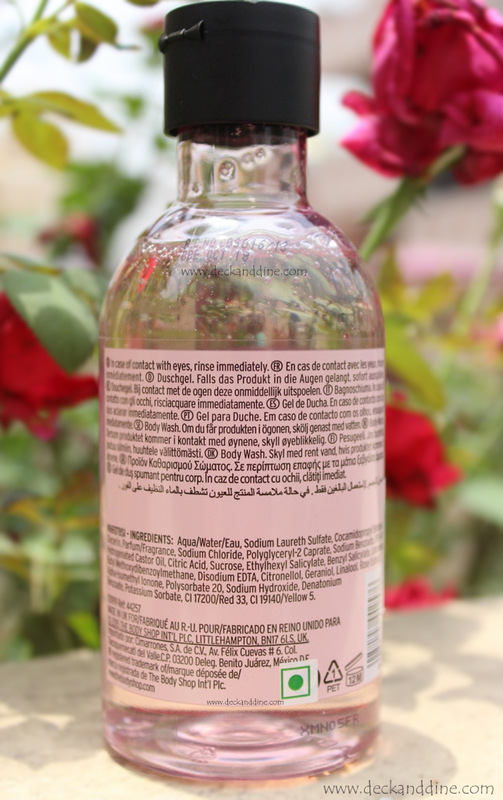 When in the bottle, the body wash looks pale pink and when poured on hand it is clear, transparent gel. 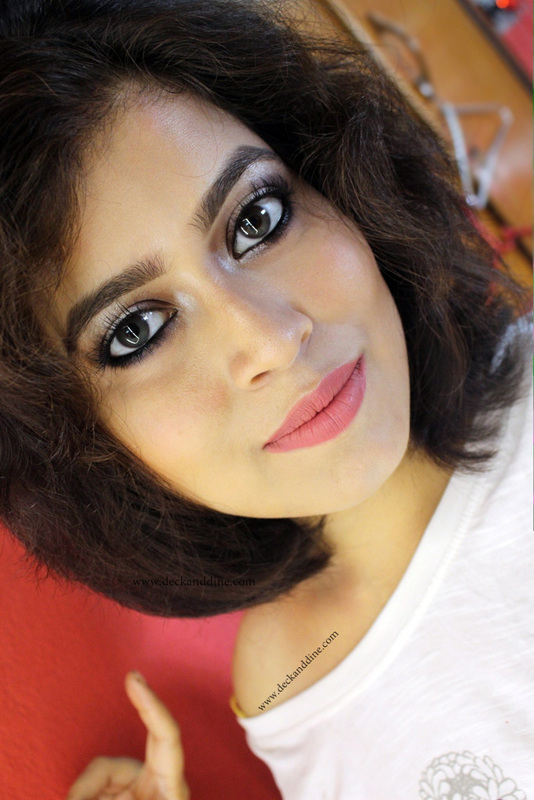 The product has a runny gel like consistency and a sensuous rose fragrance. Floral fragrances generally don’t suit my sensitive nose but this British Rose scent is perfect - not overpowering at all for me. It smells like fresh roses and leaves my skin feeling clean but not overly dry. A small amount is needed and it lathers up really well on the body puff. It doesn't make the shower slippery. The smell lingers on me for hours and makes me feel refreshed and rejuvenated. My whole house smells like a rose garden. Alluring, sensuous and a very feminine fragrance. Reasonably priced. I don’t mind paying more for a product I love to bits. I love shower gels from The Body Shop. I have used all of their variants and I am kind of obsessed with their fragrances. I can’t have enough of them. But this one is special in their range, unique and just feels much more luxurious. I love how it fragrances me and the whole house. I see myself repurchasing this again. Grab a bottle of this natural and fragrant shower gel as soon as you can. You are going to love it. I am planning to buy the exfoliating gel body scrub and the lotion from this range too. thanks honey.. which one are you using from the range? try this nausheen.. you'll love it..
Let me share this with my cousin brother, he has the habit of using body gel, btw, is it for men also? I love TBS shower gels...have to try this asap! Body shop is always amazing, it comes with really good stuff. I can literally feel the texture, the amazing aroma of this product! Very nice review!!! I am definitely going buy it soon !! get it soon Jinjin.. you are going to love it.. I am an addict to floral fragrances. This is a must for me.